1. She was “grounded” from dating. She had way too much work to do on her herself to share any of that energy with someone else. 2. Buy an awe inspiring journal and pencil or pen. 3. Download some favorite music. (Fortunately Jennifer did know what kind of music she liked). Now the journey begins. Lets focus on mindfulness. How much of your time do you spend doing “mindless” activities? Have you created a routine for yourself that really leaves you quite unfulfilled upon serious inspection? Being mindful puts the focus on what you are doing and how you make it meaningful. 1. Who are you really attracted to and why? 2. Have you ever made a “deal breaker” list and stuck with it? 3. Do you choose people to make your family/friends happy? 4. Do you develop a friendship based on communication and getting to know each other before having a physical relationship? 5. Do you speak up and have a voice or let someone else talk for you? 6. When your gut speaks, do you listen? In the movie, Runaway Bride, Julia Roberts lets herself get so involved in a relationship that she plans to marry, then runs away. There is a scene where she has several plates of eggs cooked different ways. She is studying them. She states, “I have no idea how I like my eggs.” She liked whatever her boyfriend liked. Find you before you find someone else. You will be surprised how much difference it makes. Pictured: Back row, left to right: George Kurey, Job Coach and Employment Specialist (Francis Tuttle Technology Center), Preston Hibbard, Anthony Sandland. Front Row left to Right: Stella Church, Job Coach (Francis Tuttle Technology Center), Jacob Sampson, Dee Dee Clyne, Instructor (Francis Tuttle Technology Center), Nicholas Leggett, and Austin Bryan. 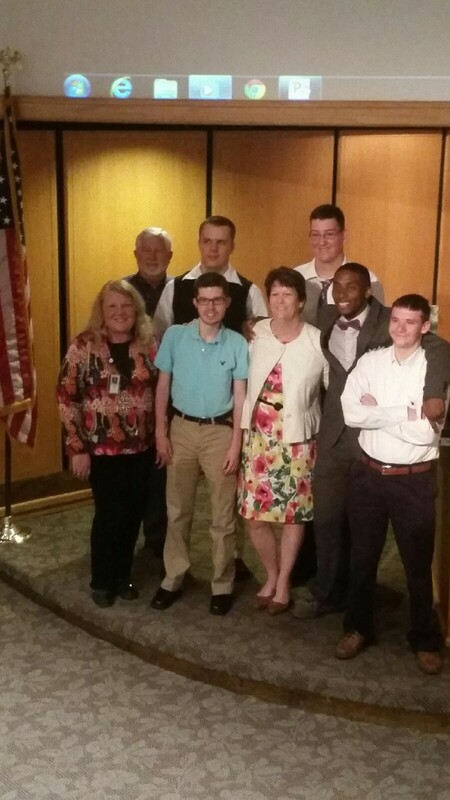 INTEGRIS Baptist Medical Center would like to congratulate the Project SEARCH graduating class of 2015. Preston Hibbard, Anthony Sandland, Nicholas Leggett, Jacob Sampson & Austin Bryan were honored at a special ceremony on May 11th. Project SEARCH is a program that provides young adults with intellectual and developmental disabilities, the opportunity to learn transferrable job skills and then transition them to meaningful employment within the community. 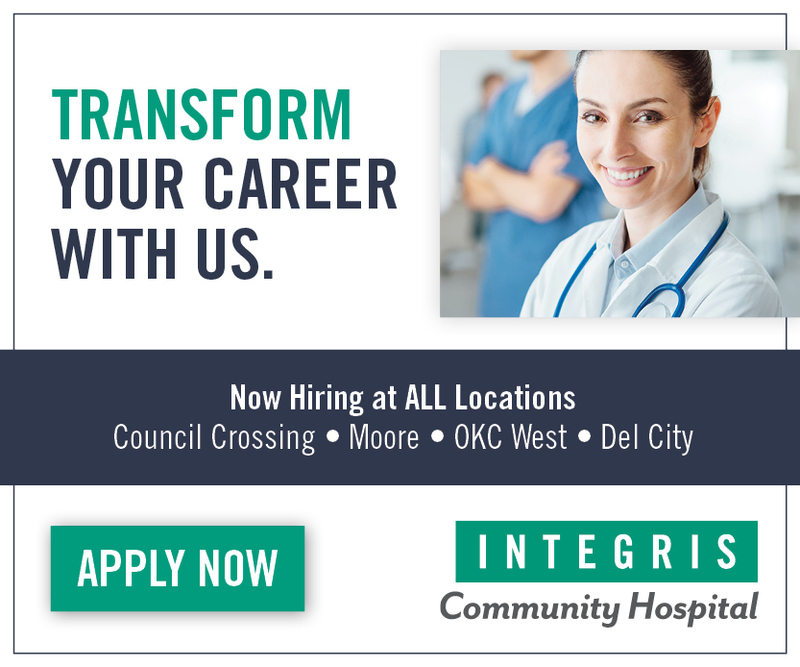 INTEGRIS Baptist Medical Center in Oklahoma City started their Project SEARCH program in 2013. This is the third class to graduate from the program. The interns follow the school calendar and participate in three non-paid, 10-week internship rotations at INTEGRIS. Interns are given support through on-the-job coaching and work site accommodations. They also attend class at INTEGRIS, for additional employability skills training such as interviewing, resume writing, hygiene, nutrition, personal finance, communication, etc. 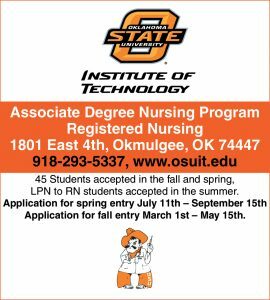 The program is a partnership between INTEGRIS, Francis Tuttle Technology Center, Canadian Valley Technology Center, Dale Rogers Training Center, The Department of Rehabilitation Services, and The University of Oklahoma’s National Center for Disability Education and Training. INTEGRIS Bass Baptist Health Center in Enid has also hosted a successful Project SEARCH program since 2010, and INTEGRIS Canadian Valley in Yukon, also graduated its first class of Project SEARCH interns this month. For more information about Project SEARCH, please visit: www.projectsearch.us, or contact Judi Goldston, Project SEARCH Statewide Coordinator, at 405-325-0448. 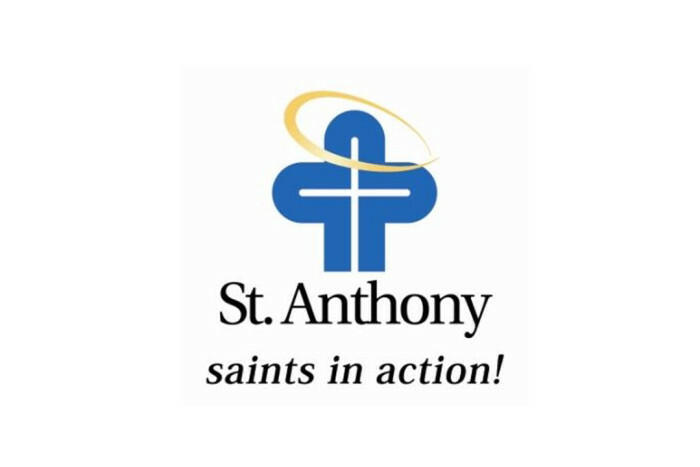 Robert Rader, M.D., has been appointed Chief of Staff for St. Anthony Hospital. 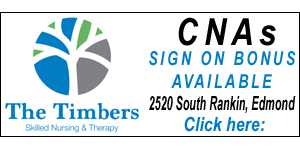 Board certified in Family Medicine, Dr. Rader graduated from pharmacy school at Southwestern Oklahoma State University in Weatherford and medical school from the University of Oklahoma, completing the program in 1998. He completed his residency in family medicine at St. Anthony Hospital, where he remained on staff as a teaching physician after residency. Dr. Rader is also currently the Senior Medical Director of the Mark 5 Care Group hospitalist program, and is the Regional Medical Director of Informatics as well as the Medical Director for Clinical Integration where he works with rural hospitals coordinating care of patients. Dr. Rader will serve a two-year term as Chief of Staff and will be succeeded by Chief of Staff Elect Chad Borin, D.O., in 2017. Scott and Kendra Plafker have been married for 17 years. But this year marked a milestone that precious few couples ever celebrate: Their first scientific paper co-authored by just the two of them. “We’ve had plenty of papers with both our names on them, but it was special to be able to publish something on our own, just the two of us,” said Scott Plafker, Ph.D., R.Ph., a researcher in the Free Radical Biology & Aging Research Program at the Oklahoma Medical Research Foundation. 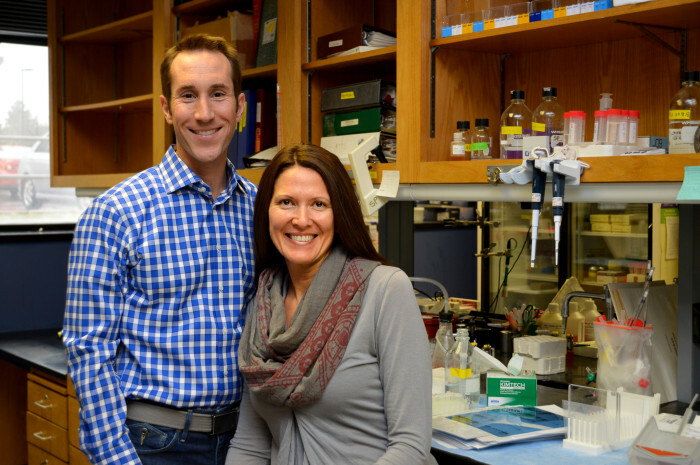 Together with his wife, Kendra, Plafker works at OMRF studying age-related macular degeneration, the leading cause of vision loss among elderly Americans. The couple is searching for ways to prevent and improve the treatment of the eye disease. For many wives and husbands, working together might prove a recipe for disaster. But for the Plafkers, they’ve built a successful partnership in the laboratory by defining what each spouse is responsible for. He sets the overall direction of the research, designing experiments and writing the grants that fund the projects. Meanwhile, she manages the day-to-day operations of a six-person lab that conducts the experiments. The pair met in the early 1990s, when she was a lab technician and he a graduate student at Johns Hopkins University in Baltimore. They married in 1997 and relocated to the University of Virginia and, ultimately, to Oklahoma in 2003, when he accepted a position to run his own lab and she became his lab manager. Over time, though, the two figured out how to strike a balance by dividing up responsibilities. It’s similar to how they handle things on the home front, where Kendra cooks and manages finances, leaving laundry and cleaning detail to Scott. In the lab, their successful collaboration has most recently led to the Plafker-and-Plafker-authored paper in the journal Molecular Biology of the Cell. The research study focuses on one of the main molecules they’ve been studying at OMRF. That molecule, known as NFR2, is a powerful protein that’s in every cell in the body but is unable to operate or move until it’s released by a chemical activator. Understanding how it migrates into the nucleus of the cell and binds to DNA, said Scott, could help scientists gain a deeper understanding of a variety of illnesses, including macular degeneration. Their manuscript has uncovered a new mechanism that regulates NRF2 to work more efficiently and better protect cells. Decreases in the NRF2 defense system have been linked to age-related macular degeneration and to other neurodegenerative conditions, including Alzheimer’s, Parkinson’s and Huntington’s disease. While working together 45-50 hours each week might drive some couples to seek “alone time” off the job, the Plafkers also enjoy many joint pastimes, including playing Scrabble, binge-watching shows on Netflix and traveling across Europe. They usually commute to and from work as a couple and can be found just about every day eating lunch together in the OMRF cafeteria. Spending so much time with each other might not work for all couples, but, said Kendra, “It’s the only way we’ve ever known.” In fact, when Scott changed labs for a brief time, they realized just how much they cherished their hyper-interactive partnership. “Only seeing each other on the way in to work, at lunch and on the drive home—that was weird and lonely,” Kendra said. 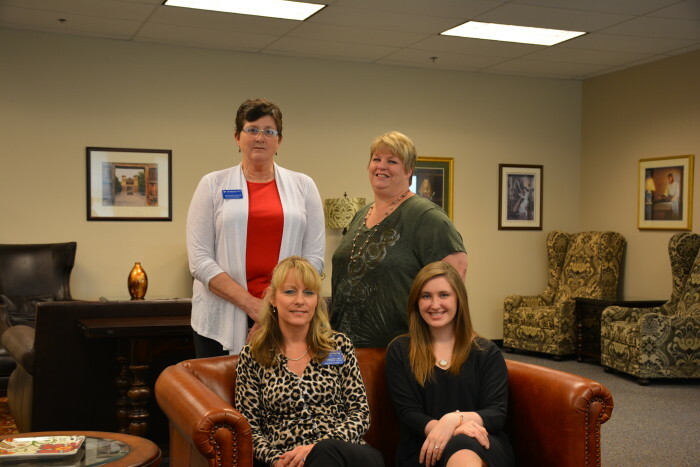 Kramer School of Nursing LEAN team members seated from left to right include Gina Crawford, DNP, MS, APRN-CNP; Lauren Riney, BS. Standing are Sara Manning, MSN, RN, CNE; and Staci Swim, MSN, RN, CNE. 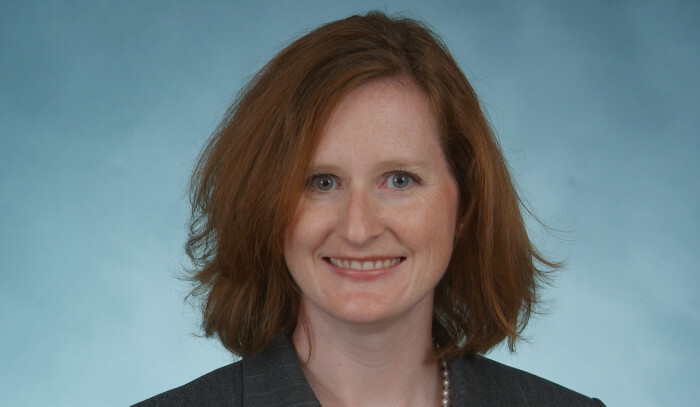 Kramer School of Nursing has invested time and talent in the quality improvement, said Staci Swim, faculty at Kramer School of Nursing at Oklahoma City University. The LEAN program at Kramer is an across-the-board process that Kramer adopted from INTEGRIS Baptist Medical Center as an improvement model. Lean health care methodology is a strategy for better clinical outcome within an organization. It makes healthier, more efficient and high performing organizations, Swim said. Dr. Carol Mannahan and Kramer faculty member Swim were invited to go for two days of training at INTEGRIS Baptist Medical Center to become LEAN certified leaders, Swim said. The LEAN program endeavors to find all of the waste in a process such as down time, over handling and confusion. INTEGRIS Baptist Medical Center provided a representative to Kramer to help start the program. Faculty examined the entire process from admission to the first day that students began their clinical work and identified areas that needed improvement, Swim said. Each step of the process is drawn on a map by a collaborative team that included Student Health, she said. Three areas were noted on the step-by-step map. Lauren Riney, administrative assistant to the dean, said the program is extremely beneficial. One of the gaps identified the need for a set deadline for immunizations, she said. And, not all of the students have recognized the importance of the immunization deadline, Riney said. “It’s a big deal. It’s communications,” she explained. Swim said the problems they identified apply to all schools of nursing as a common theme. “Eventually, we’ve talked about taking it to NESA,” Swim said. “That’s where all the schools and hospitals come together to try to find clinical sites, and talk to the hospitals about what the hospitals may require, because at this point, everyone requires something different from the students.” Swim said. Part of the discussion about students getting their immunizations in a set time frame could involve the first week of classes, Swim said. “Could they come here and get their immunizations?,” she said. Most of the Kramer students come from out of state and do not immediately have care providers for their health. So simplifying the process for the students to earn their clinical requirements would also make it easier for the school itself, Swim said. The process will continue indefinitely and be refined as needed. Kramer plans to take on a LEAN project once a year and complete it by the time the school year concludes, Swim said. Swim said the process is demanding and overwhelming, But the effort will produce greater efficiencies for the university and hospitals. “The rewards are that our students will have clinical spots,” Swim said. Amy Milton, BSN, RN, CPN, Nurse Liaison at the Children’s Center Rehabilitation Hospital is inspired by her faith. Meet Amy Milton, BSN, RN, CPN, Nurse Liaison, working at the Children’s Center Rehabilitation Hospital. 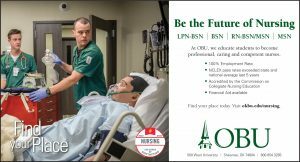 After graduating from Oklahoma Baptist University, Milton started working as a nurse where she has been for five years. She has held the position of Nurse Liaison for the past two years. Playing an important role, Milton is the one that evaluates the child that is in acute-care hospitals beginning with the pre-admission process, following through until their release. She is with the child from the beginning to the end, keeping the communication open. When Milton was a little girl, she always wanted to be a nurse. Growing up with her mom being a nurse, her mom had a great influence on her life. Now, Milton’s mom works as the main OR supervisor at OSU Medical Hospital in Tulsa, OK. Milton always knew that her mom loved her job and loved helping people so Milton followed in her mom’s footsteps. “My mom was my mentor when I was going through school because I always went to her if I had a medical question,” she said with a laugh. “She was the one with the most knowledge and experience. I’ve always admired my mom for everything she has done for me, and all of the things that she continues to do. Because of that, it made the two of us closer in a special way,” she adds. Megan Spradlin, Advanced practice nurse. Megan Spradlin always suspected medicine would be a good career fit, but a hospital stay 12 years ago confirmed her suspicions. 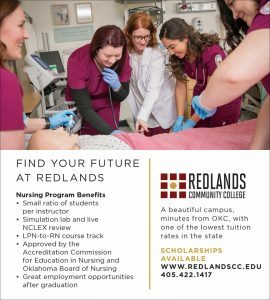 The following semester, Spradlin enrolled in the nursing program at the University of Central Oklahoma, graduating in 2009. She obtained a doctorate of nursing practice, with an emphasis on family medicine, from Oklahoma City University in 2014. 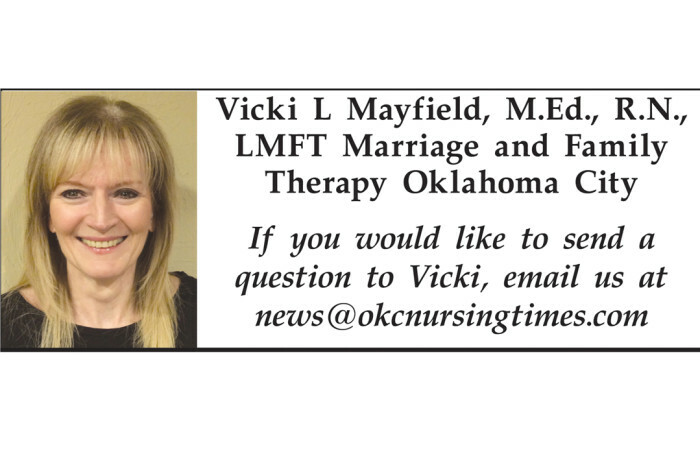 She began working as an advanced practice registered nurse at Mercy Clinic Primary Care Edmond Memorial May 11. Spradlin knows many of her patients may not understand the role of an advanced practice nurse, particularly one with a doctorate. “It is a different path from becoming a physician, which is why we are able to complement each other in the health care setting,” she said. To schedule an appointment with Megan Spradlin, call Mercy Clinic Primary Care Edmond Memorial at 405-341-7009. 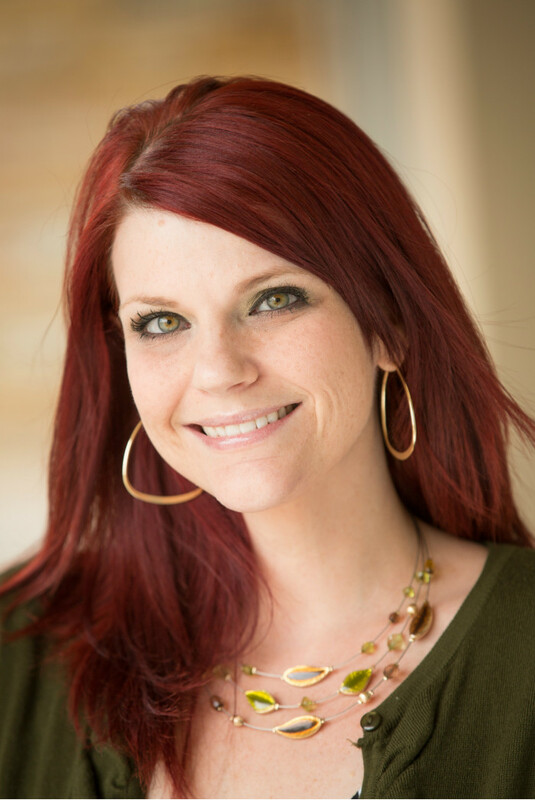 Tina Burkhalter combines years of experience in her role as the admissions and marketing nurse at Baptist Village in Oklahoma City. Tina Burkhalter is likely to be one of the first persons a patient or family member will meet when choosing skilled nursing at Baptist Village of Oklahoma City. 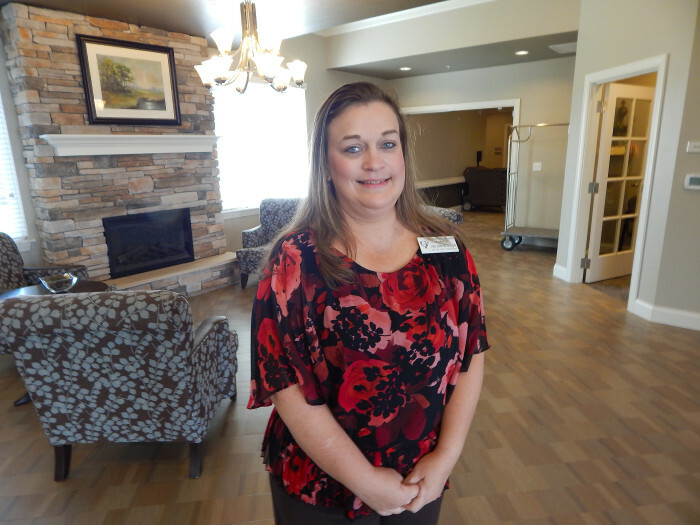 Burkhalter, a licensed practical nurse, is the admissions and marketing nurse at Baptist Village. “We take pride in what we do. We take care of the patients very well. You don’t have to wait very long when you turn the call light on,” she said. Twenty years ago after graduating from Metrotech, Burkhalter began her nursing career and was hired at Baptist Village 16 years ago and works in the skilled nursing part of the village. A lot has kept her dedicated to patient care in the community through the years. She receives referrals from physicians who send patients for rehabilitation in her admissions role. “I go out and do assessments at the hospital, meet with family members and answer any questions,” she said. “I’ll verify Medicare and insurance benefits. She gets to know some of the families very well. 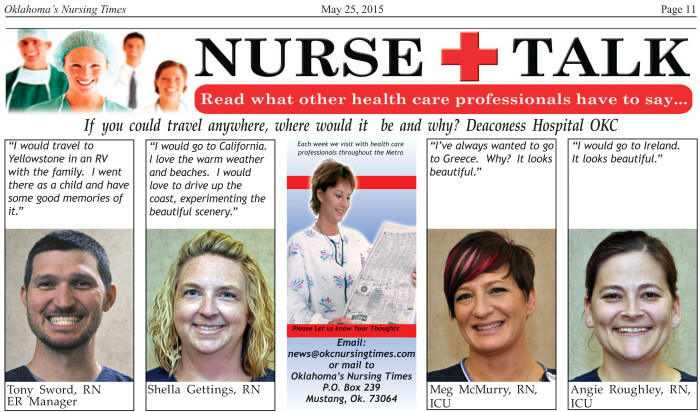 Some patients have come for skilled nursing as far away as Texas and Tulsa, she said. A new addition has taken place at Baptist Village with it’s new state-of-the-art rehabilitation building. The rehab center has 50 beds for post-acute patients who have been hospitalized but are not quite ready to return home. The total bed count at Baptist Village is 120. So the new rehab enables the care center to reach out to a younger population of patients who may have had orthopedic surgeries and other procedures. Skilled nursing involves short-term stays at Baptist Village. “Their goal is therapy and rehab with the goal to go home,” said Michelle Billings, RN, administrator. The health care center is the home where the residents have chosen to live. It is Burkhalter who will do all the paper work when a patient arrives at Baptist Village. She will place all the orders for their medications. Burkhalter will notify the patient’s physician that there is an admission, she said, and update the floor nurse that she has a new patient that day. 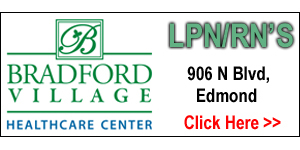 Her LPN career at Baptist Village began as a floor nurse on the long-term care side of the spacious community. From there she entered the realm of wound care nursing. She was a skilled nursing coordinator, and handled the minimum data set requirements for each patient. She said changes in federal law regulations for skilled nursing have caused hospitals to discharge patients too soon. Some patients will enter skilled nursing and a day or two later will have to go back to the hospital for further care, she said. All of her experience through the years has culminated into her high individual performance standard she adheres to each day. Baptist Village tries to keep familiar staff members in a neighborhood so the patients and the staff form a bond, she said. This makes it easier for the nursing staff to notice changes in a patient’s health that could indicate a health problem, she continued. “I like taking care of people that need healthcare,” Burkhalter said. Noboby has to live at Baptist Village in order to enter its rehab facility. Baptist Village sets an age requirement of 55 or older, and for the skilled nursing unit, Medicare Part A or private insurance that the village networks with must be in place, she said. 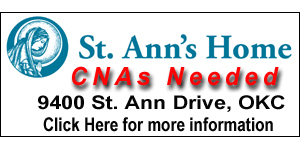 They can stay up to 100 days in skilled nursing. Medicare pays 100 percent of the cost for the first 20 days of admission. Medicare will pay for 80 percent of the cost for the remaining 80 days, she explained. Outside of work, Burkhalter has a 5-year-old son at home. They play ball together outside. Burkhalter said she takes pride in the nursing staff for their listening skills. Nurses visit and at times will eat their meals with their patients. She has witnessed a lot of positive outcomes as a nurse. NURSE TALK: If you could travel anywhere, where would it be and why? When it comes to measuring obesity in American Indian youth in Oklahoma, the numbers are in and they show work still needs to be done. That’s the conclusion of recently published findings by researchers at the University of Oklahoma Health Sciences Center in collaboration with the Native Youth Preventing Diabetes Coalition. Researchers found that 63 percent of the American Indian children surveyed met criteria for overweight or obese. That’s twice the national average. The findings are based on a study including 124 American Indian children, between the ages of 7 and 13, in Oklahoma. It uncovered some behaviors that might be at least part of the problem, among those was the consumption of sugar-sweetened beverages. “We found that these kids consume about 309 calories per day of sugar-sweetened beverages, which offer little nutrition and extra calories. That is significantly higher than the national average of 178 calories per day of these beverages,” said Dennison-Farris. In addition to the increased consumption of sugar-sweetened drinks, the study revealed the amount of exercise in which the children engaged also had room for improvement. It is recommended that children get 60 minutes of moderate to vigorous physical activity each day. The majority of the children in the study, though, fell far short of that number. They were getting only about four and a half hours a week of moderate to vigorous physical activity; and only 32 of the children surveyed – that’s about one in four – were meeting the physical activity guideline of 60 minutes per day,” said fellow researcher Susan B. Sisson, Ph.D. of the OU College of Allied Health. Sisson added the survey brings important insights into some of the reasons why American Indian children are at increased risk for certain diseases, particularly obesity and diabetes. “Knowing the facts is just the start,” said Sisson, adding that more research is needed to evaluate other circumstances that may impact health behaviors in these children, such as emotional or psychological factors and peer pressure. The research is published in the online edition of the Journal of Community Health.